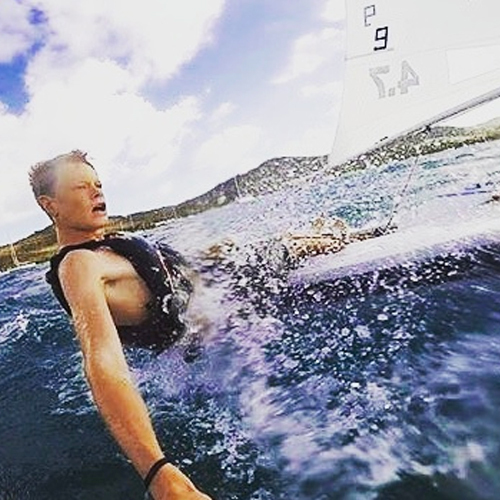 Taylor Hasson was born and raised in St. Croix, U.S. Virgin Islands, and started sailing at the very young age of 7 at his local yacht club’s sailing camp. Immediately getting infected with the sailing bug, Taylor started to pursue into his optimist career, but had to cut it short after sizing out. Starting freshman year, Taylor joined his high school’s sailing team, competing in C420’s and Lasers. On top of sailing dinghies, Taylor has sailed in many larger international regattas like the BVI Spring Sailing Festival and the St. Croix International Sailing Regatta.